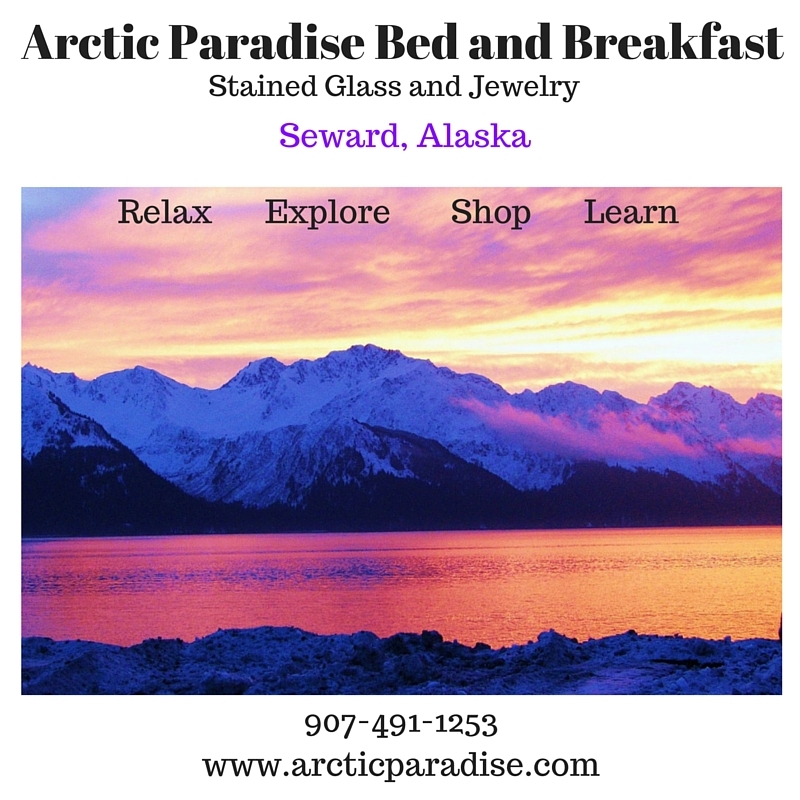 Arctic Paradise Bed and Breakfast | "Where Magic Happens Every Day"
Arctic Paradise Bed and Breakfast is your home away from home in Seward Alaska. Relax and soak up the scenery. Visit local shops and galleries. Try some awesome seafood. 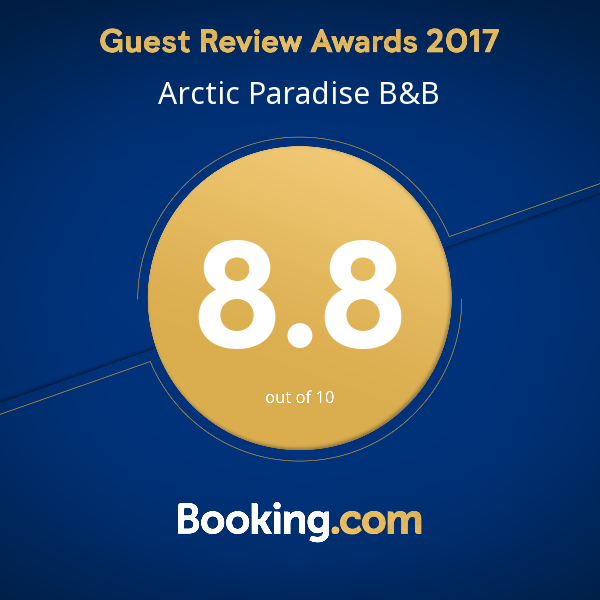 You can explore unbelievable scenery, enjoy fantastic wildlife viewing, hiking, boat tours, kayaking and a wide variety of outdoor adventures during your stay at Arctic Paradise Bed and Breakfast. Enjoy beautiful one of a kind art on site. 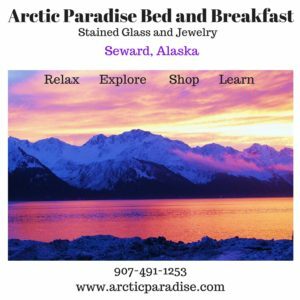 Browse our one of a kind stained glass and jewelry made at Arctic Paradise Stained Glass and Jewelry. Explore a variety of shops and artist studios in town. Or visit Visit My Store ArcticParadise Art on Etsy. Indulge your creative side and learn something new! Try out some private dance, music or jewelry making lessons while you are here! Imagine sleeping comfortably in your beautifully decorated, cozy and quiet room with private bath surrounded by beautiful colors and stained glass. 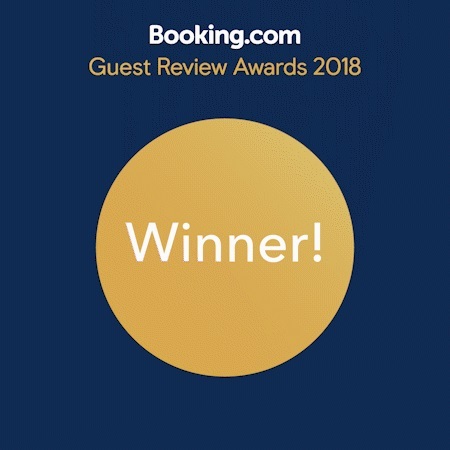 Enjoy a full home-made Alaskan healthy breakfasts and gourmet coffee from Costa Rica served in one of a kind stained glass dishes made by your host at your own private dining table in your room. Browse the book of local attractions, maps and menus in your room and discuss options for great local adventures with your host, a professional wildlife biologist, artist, musician and dance instructor. 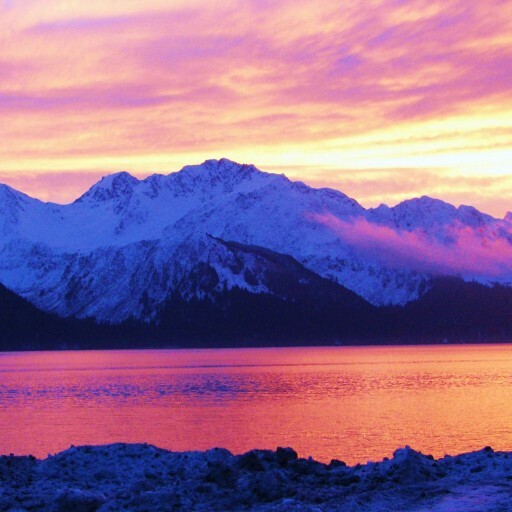 Decide to take a local boat tour of the spectacular Kenai Fjords National Park, go sea kayaking, hike a glacier or forest, go on a sled dog ride, visit Exit Glacier or go fishing for silver salmon or halibut. Or just browse local galleries, shops and museums. After I set up your adventures for you, you can walk to most anything you decide to do. Hike the famous Mount Marathon, up through a beautiful rain forest and up into a gorgeous alpine bowl, looking for birds, moose, bears or mountain goats? Walk to the trail head a few blocks away. Or stroll along the pathway along Resurrection Bay a few blocks away and look for sea lions, otters, whales and birds in route to downtown or the small boat harbor. Enjoy amazing view of oceans, mountains and glaciers. Have a fantastic day filled with the amazing scenery, wildlife and local hospitality and color. When you return, I can provide great recommendations for local restaurants for dinner, Enjoy a little private shopping and view the one of a kind stained glass art and jewelry made on site and available at wholesale costs to you. Explore your creative side and try a private lesson in Persian dance, American Tribal Style Dance, learn how to play drums or learn to make jewelry! Take an evening stroll along the waterfront or enjoy one of our colorful establishments for a beer or some music. Watch the cruise ship turn around right in front of the house. 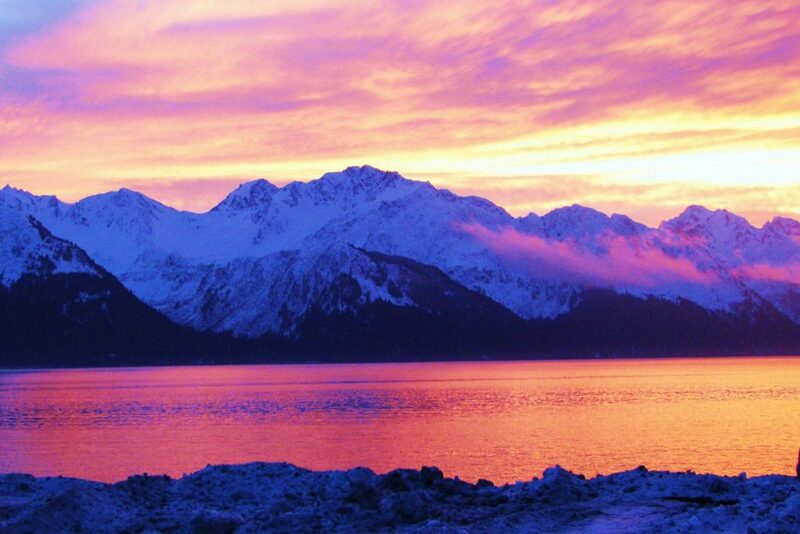 Relax and enjoy free wireless internet and the library of Alaskan movies and books provided in your room. Kick back; watch a movie with hot chocolate and some popcorn. Finally, have a restful sleep dream about your next adventure tomorrow. Call 907- 491-1253 today to make a reservation.